Join us for the next New Ideas Series at 3:00 pm on Thursday, April 25, 2019, in the ZSR Auditorium. 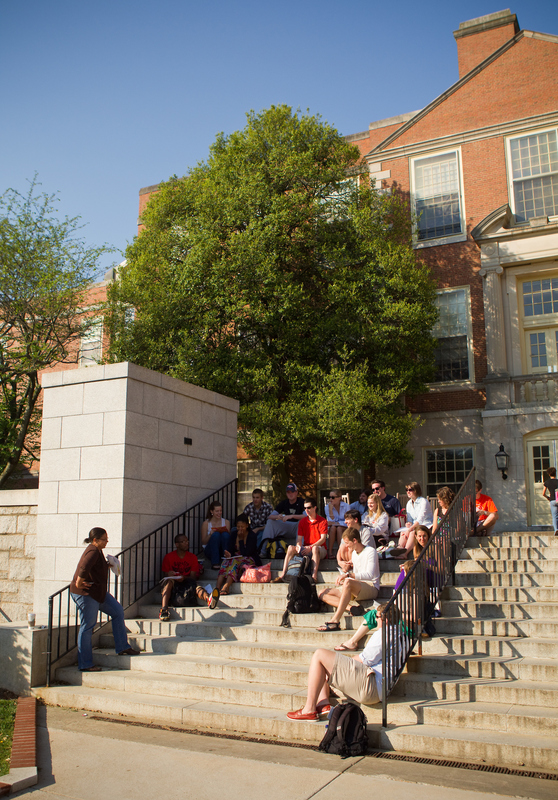 FYE 101: The College Transition helps first-year students adjust to life at Wake Forest. Philosophy Professor Ana Iltis and sophomore Riyan Deria have formed a dynamic research team. We honor Donna Henderson (Counseling) and Julian Young (Philosophy) with stories about their careers at Wake Forest. The College House is a new, exciting space created for our retired faculty. The College affirms its commitment to Inclusive Excellence. We believe that inclusion is inherent to excellence and therefore fundamental to scholarly rigor and academic success. As the intentional incorporation of the cultures, worldviews, histories, traditions, and talents of all people across all places, Inclusive Excellence defines diversity broadly and includes race and ethnicity, (dis)ability, gender identity and gender expression, sexual orientation, nationality, age, religion, and social class. Inclusive Excellence situates that diversity as a powerful community strength that must be consistently and actively practiced to achieve the highest teaching, learning, and scholarly outcomes. The Office of the Dean of the College is committed to supporting all faculty, staff, and students in their development of, and engagement with, academic departments and programs that offer robust and representative curricula taught in inclusive environments. We know that our students are entering a profoundly diverse world, and our dedication to Inclusive Excellence enables them to do so as the leaders and citizens we need now and in the future. Wake Forest College of Arts and Sciences, with its 29 academic departments and 16 interdisciplinary programs, is the heart of Wake Forest University. The College embraces the liberal arts tradition within the context of an internationally recognized research university. The College upholds the teacher-scholar ideal; expects exceptional teaching and outstanding research, scholarship and creativity; and promotes faculty interaction with students both in and out of the classroom that nurtures their intellectual and personal development. Summer Session at Wake Forest provides outstanding summer collegiate educational opportunities for current Wake Forest students, incoming Wake Forest freshmen, and domestic non-WF college and high school students. Our two, 5 1/2 week terms offer a rigorous summer educational experience, close engagement with Wake Forest faculty, unique flexibility to accrue credits toward an academic degree, and abundant opportunities to study abroad. Wake Will Lead represents the next step in our mission to develop the dynamic young leaders who thrive in an unpredictable world.